1. 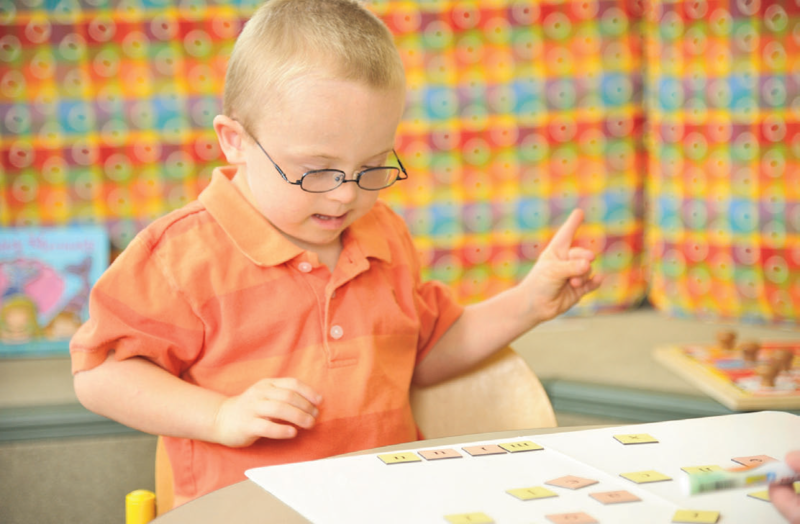 The prevalence of children with disabilities has continued to increase. 2.Male children have higher prevalence of disabilities than female children. 3. Children living in poverty experience the highest rates of disability. high school education have a greater prevalence of disability. 1. The prevalence of disability among non institutionalized children < 18 years has continued to increase, growing by 15.6 percent between 2001-2002 and 2010-2011. Nearly 6 million children were considered to be disabled in 2010 to 2011 (an increase from 4,991,000 to 5,912,000 children, or 6.87 percent to 7.94 percent during the study period). 3. Significant increases in disability prevalence occurred for children of college-educated parents but not for children of parents with a high school education or less. WHAT MAY BE CAUSING THESE DEVELOPMENTS? children “…experience marked disparities in obtaining timely medical care, only some of which is associated with language differences.”15 One cannot over-emphasize the need for healthcare providers to maintain an awareness of the diversity of the Hispanic population, which consists largely of persons of Mexican, Puerto Rican and Cuban descent. “In spite of the fact that Hispanics share a similar language, religion and belief system, there are other significant cultural differences among these subgroups. (22.9 percent) in the proportion of Hispanic children with disabilities (highest among all other groups) to some degree, may represent a changing willingness to report personal family details. WHY IS IT IMPORTANT TO NOTE THESE DEVELOPMENTS? population (in particular, children) are being overshadowed as the government and the general population increasingly turn their attention to the elderly. Clinical Director, Special Olympics, Special Smiles and Clinical Professor of Pediatric Dentistry, The Boston University Goldman School of Dental Medicine, Private pediatric dentistry practice – Lynn MA. 2. Boyle CA, Boulet S, Schieve LA, et al. Trends in the prevalence of developmental diseases in US children, 1987-2008. Pediatrics 2011;187(6):1034-1042. 3. Robinson LM, Skaer TL, Sciar DA, Galin RS. Is attention deficit hyperactivity disorder increasing among girls in the US? Trends in diagnosis and the prescribing of stimulants. CNS Drugs 002;16(2)129-137. 4. Windham GC, Anderson MC, Croen LA, et al. Birth prevalence of autism spectrum disorder in the San Francisco Bay area by demographic and ascertainment source characteristics. Journal Autism Developmental Disorder 2011;41(10)1362-1372. 5. Larson K, Halfon N. Family income gradients in the health and healthcare access of US children. Maternal Child Health Journal 2010;14(3)332-342. 6. Wagner M, Newman L, et al. A national picture of parent and youth participation in IEP and transition planning meetings. Journal Disability Policy Studies 2012;23:140-155. 7. Avila RM, Blumberg SA. Centers for Disease Control and Prevention. Chronic developmental conditions among Hispanic children in the United States, 2003 and 2005-2006. Web site: http://www.cdc Accessed April 30, 2009. 8. Kuhlthau K, Nyman RM, Ferris TG, Beal AC, Perrin JM. Correlates of use of specialty care. Pediatrics 2004;113(3Pt 1):e249-55. 9. Flores G, Olson L, Tomany-Korman SC. Racial and ethnic disparities in early childhood health and healthcare. Pediatrics 2005;115(2):e183-93. 10. Yu SM, Nyman RM, Kogan MD, Huang ZJ, Schwalberg RH. Parent’s language of interview and access to care for children with special healthcare needs. Ambulatory Pediatrics 2004;4(2):181-7. 11. Read D, Bethell, C, Blumberg SJ, Abreau M, Molina C. An evaluation and cultural validity of the Spanish language version of the children with special healthcare needs screener. Maternal Child Health Journal 2007;11:568-85. 12. Rothe EM. Considering cultural diversity in the management of ADHD in Hispanic patients. Journal National Medical Association 2005;97(10 Suppl):17S-23S. 13. Lopez C, Bergren MD, Painter SG. Latino disparities in child mental health services. Journal Child Adolescent Psychiatric Nursing 2008;21(3):137-45. 14. Flores G, Abreu M, Olivar MA, Kastner B. Access barriers to healthcare for Latino children. Archives Pediatric Adolescent Medicine 1998;152:1119-25. 15. Brousseau DC, Hoffmann RG, Yauck J, Nattinger AB, Flores G. Disparities for Latino children in the timely receipt of medical care. Ambulatory Pediatric 2005;5:319-25. 16. Waldman HB, Perlman SP. Is it possible that a smaller percent of Hispanic children have special healthcare needs? EP magazine 2011;41(June):48-49. 17. Brandon E. U.S. News. Why older citizens are more likely to vote. Web site: http://money.usnews.com/money/retirement/articles/2012/03/19/why-older-citizens-are-more-likely-to-vote Accessed August 21, 2014.